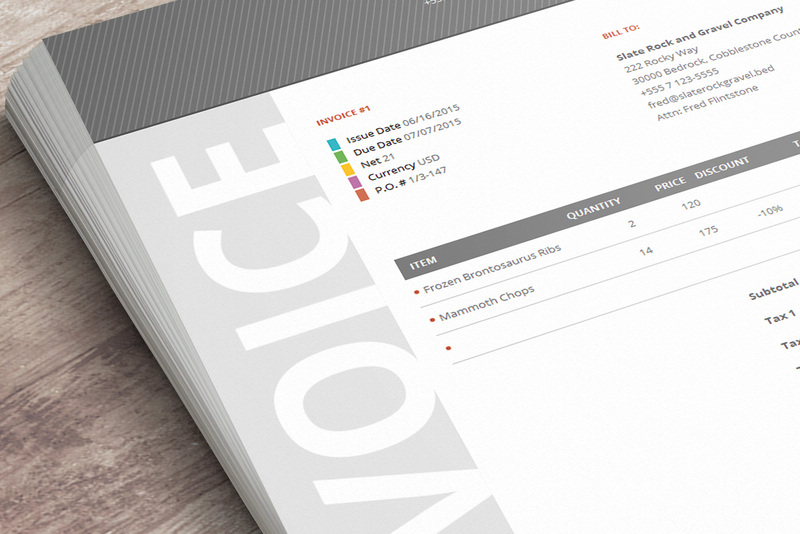 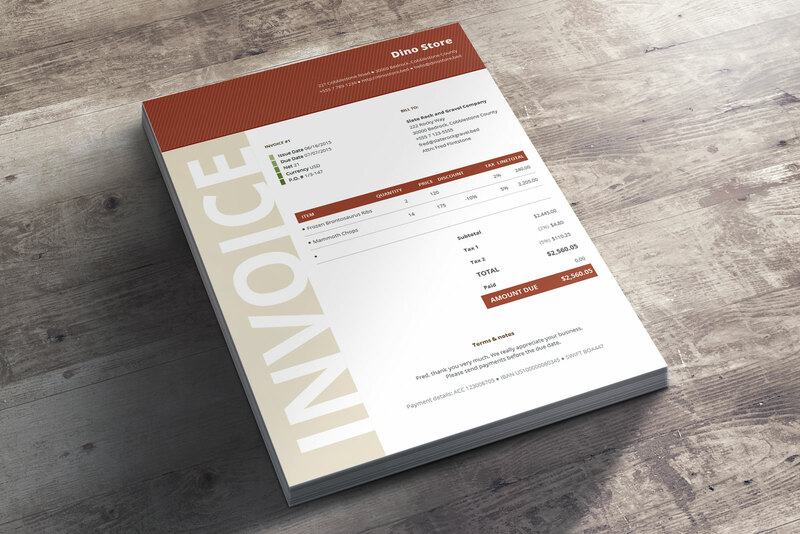 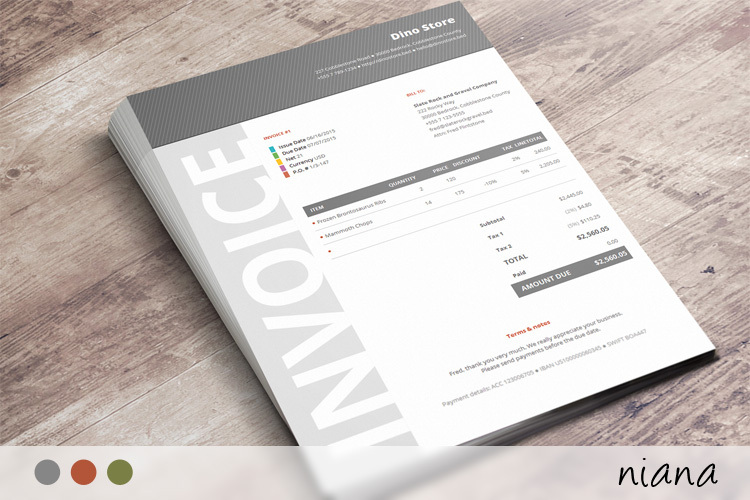 This beautiful invoice template has a very corporate design and will make your business look like a Fortune 500 company. 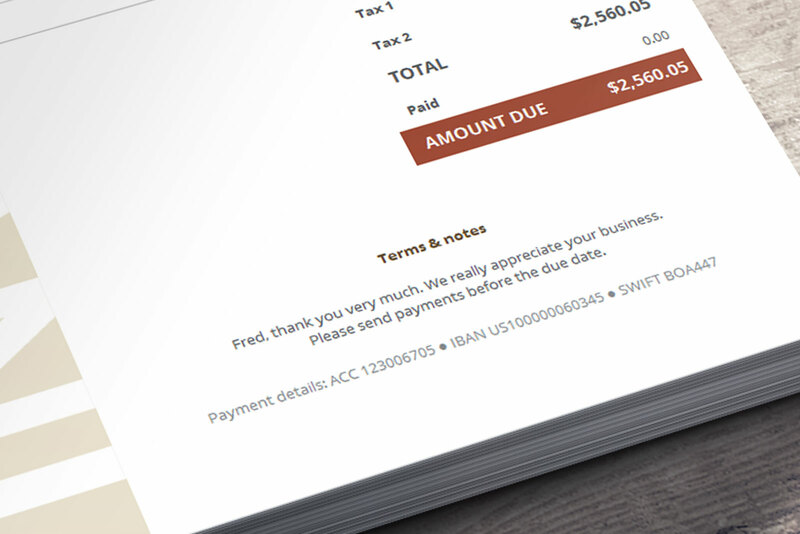 The lefthand side of the page is taken with a big grayish box reading “INVOICE”. 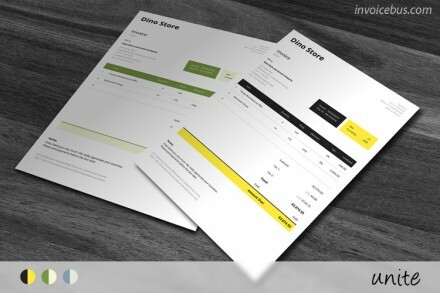 This perfectly blends with the rest of the page and gives an impression that you are dealing with a very prominent brand. 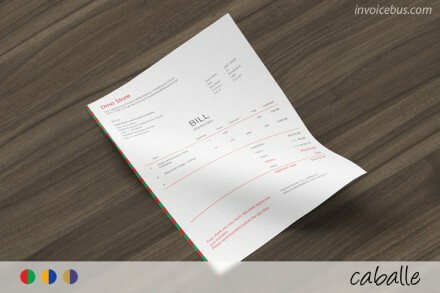 The bold header with stripe lining looks dangerously modern and additionally emphasizes your company details. 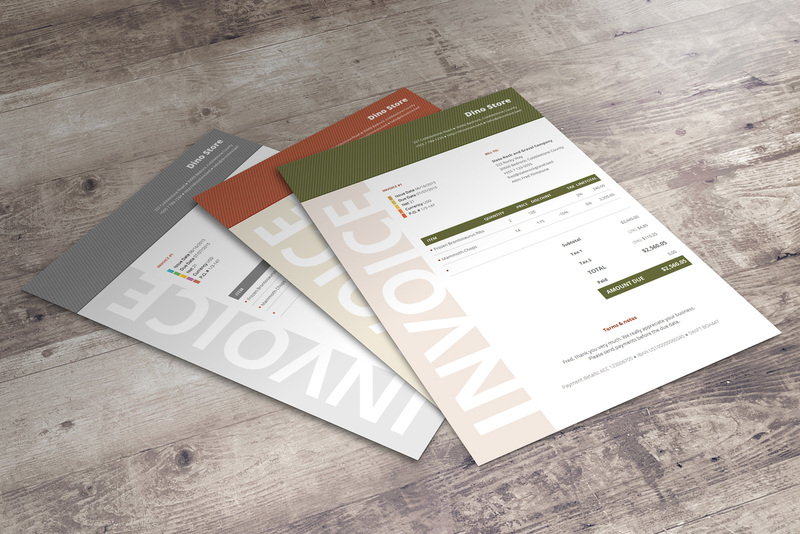 Niana comes in 3 color variants: brick, gray, and navy green.